Stoke City are edging towards a deal to sign winger James McClean from West Bromwich Albion, after improving on an opening bid of £4 million which was rejected. The 29-year old Irishman has been at Albion since 2015, joining the club in a £1.5 million deal from Wigan Athletic in June of that year. He has since gone on to make 111 appearances at The Hawthorns in all competitions, scoring 5 goals. He was a regular member of the side last season but could not prevent his team from relegation, despite an impressive rally late season under caretaker manager Darren Moore. Under contract until 2019, Albion have now decided to cash in on a player who has also featured as a wing back. 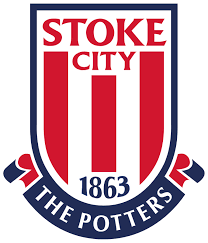 If he does complete the move, McClean will become Stoke’s third signing of the window following the capture of Nigeria midfielder Karo Etebo and Wolves striker Benik Afobe. And their signings may not stop there, with The Daily Mail reporting that Rowett wants to bring in two more wingers, with Jordon Ibe or Bournemouth, and Junior Howlett of Cardiff City both reported to be under consideration.